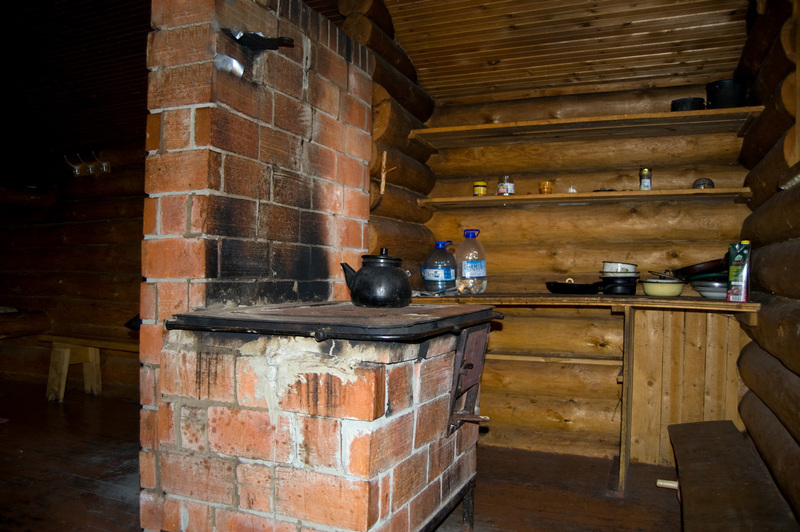 The forest hut and trail are under reconstruction until 31.07.2019. 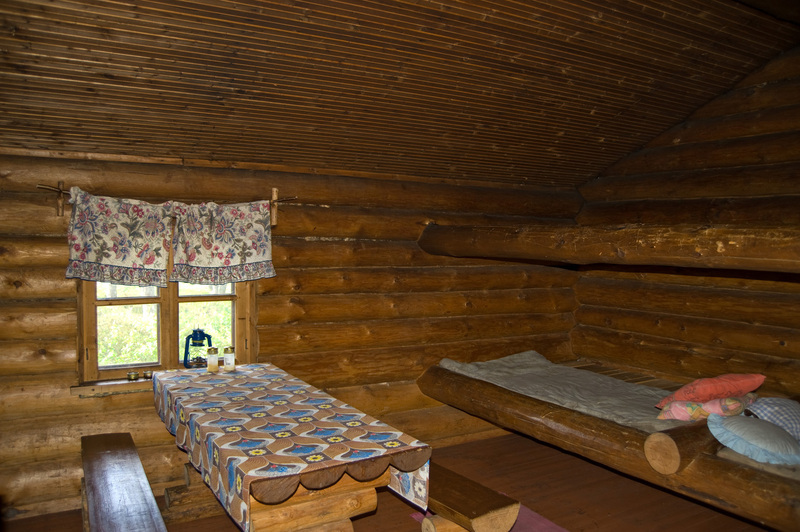 The former hunting lodge offers a pleasant rest by Tudu bog lake. 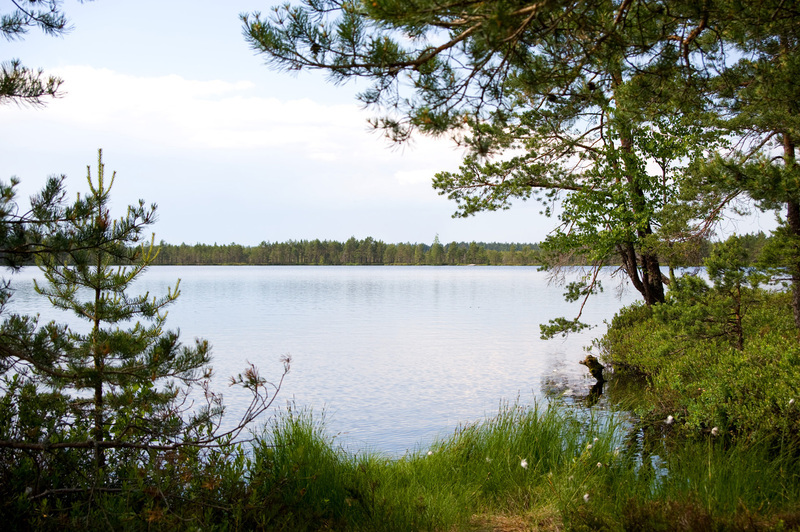 It is a wonderful swimming place in summer. Winter accessibility The road is kept clear of snow up to the parking area of the forest hut. You can leave the car in the forest hut’s parking area. 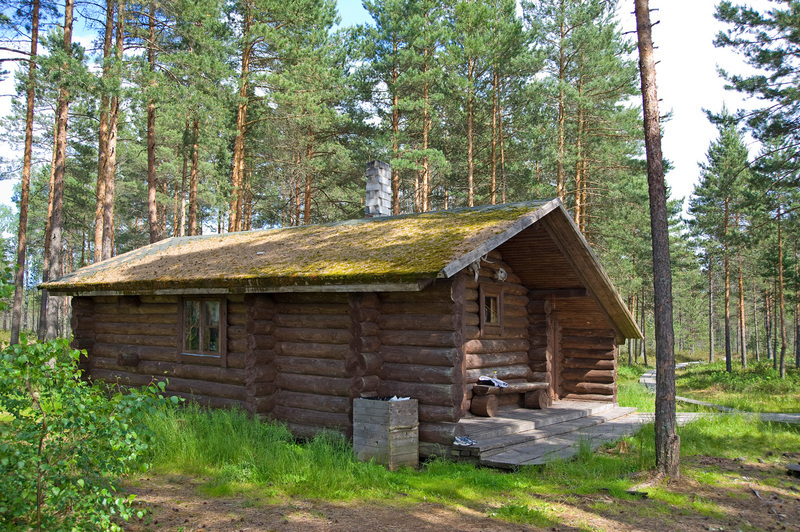 Additional information The forest hut and can be used free of charge. Please observe the principles of freedom to roam. Restrictions The forest hut is situated in Tudusoo Nature Reserve. 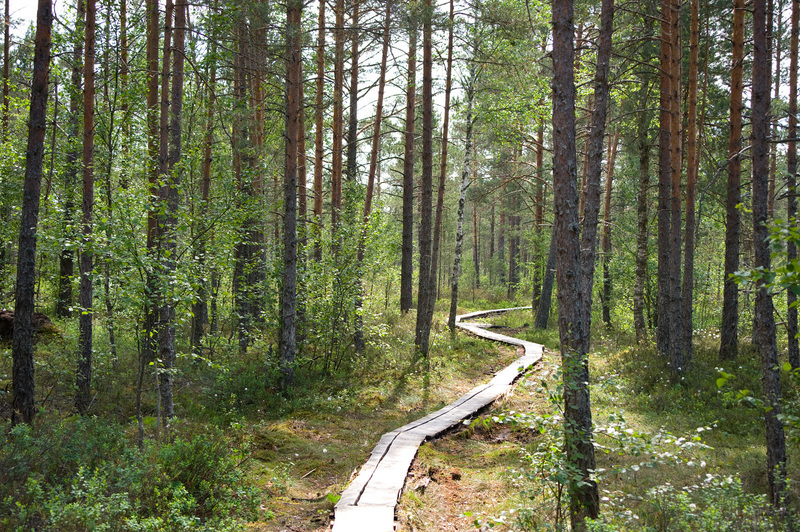 According to the nature conservation rules, motorised vehicle traffic is prohibited outside roads and paths. 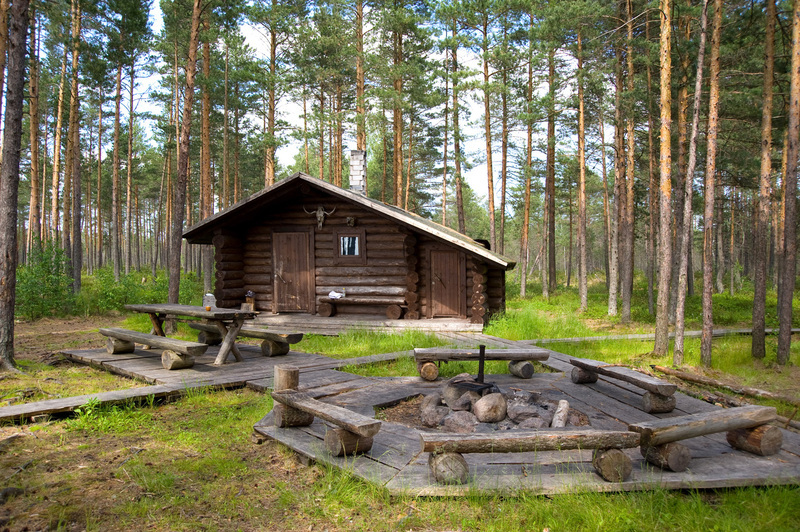 Campfires can be made only in designated sites. 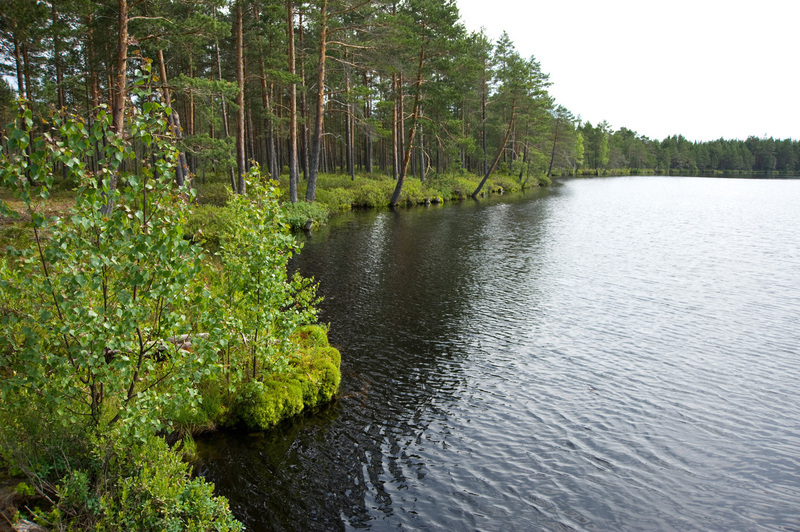 Location At Lake Tudu, Vinni municipality. Object no. 23 on recreation area map. 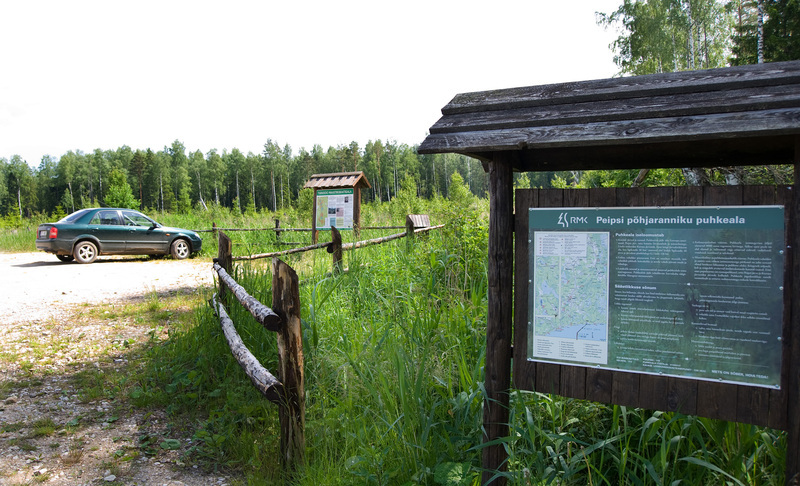 Driving directions Drive along Rakvere–Rannapungerja road and turn right 800 m before the Tudu town (sign to the Seljamäe hiking trail). Drive 3.1 km, turn left and then drive 2 km to at the parking area at the right side of the road. 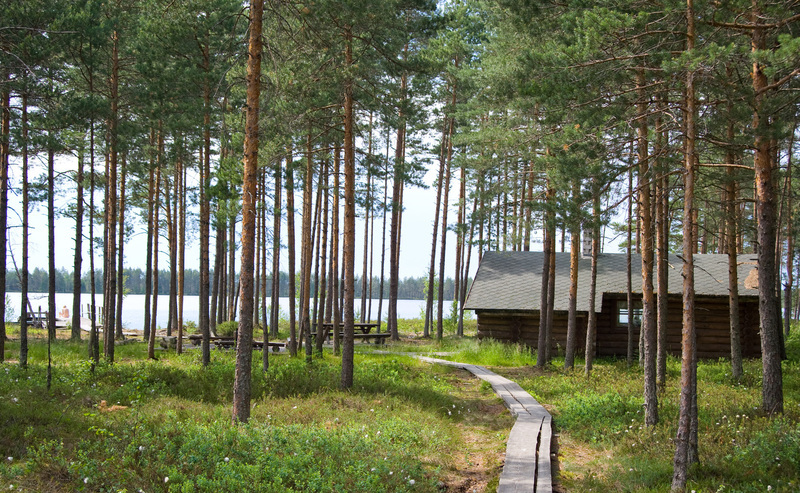 Leave your car on the parking area and walk along the boardwalk for 700 m to the forest hut.